Can I change the color of flipbook classical inner panel? 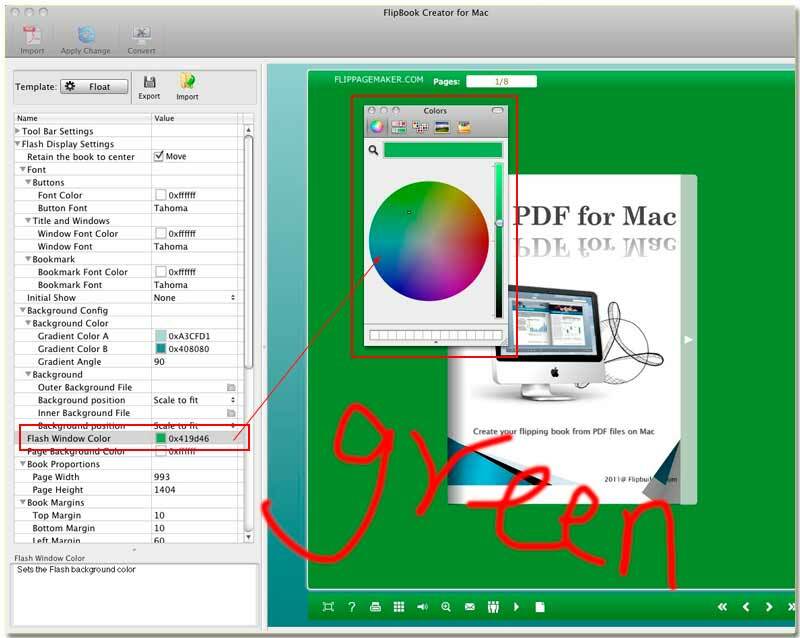 If you are familiar with flipbook creator series of software, you also know of their templates. Generally there are three kinds of templates Classical, Float and Spread. Due to the different structure design, you have to custom the new style through their different setting options. In fact, they each have their unique settings which other types haven’t. For example, the type Classical includes 2 panels inner and outer. So it enables you design the two panel appearance. Of course color is the import element to the whole style. I guide you change the color of inner panel of Classical if you are about to use it and feel strange why the color so ugly. Step1: Launch FlipBook Creator for MAC, and move the mouse to the left setting options place. Step2: You should find out the option Flash Window Color, and then click the color icon to open the color selection window. Step3: Select any color you feel right through the diverse choosing color scheme, finally shut down it and click the top button of Apply Change.